“I have three passions in my life: art, history and spiritual growth. I find they complement each other well and each affects how I approach the other.” Louise Minks has lived and painted in the small rural town of Leverett in Western Massachusetts for twenty-five years. 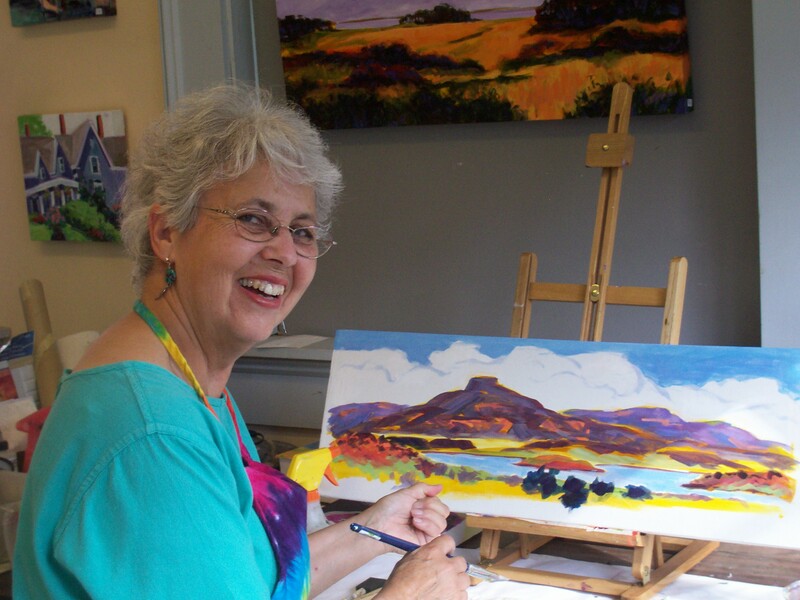 Her colorful expressionistic oils and acrylics often focus on local scenes in the Connecticut River valley or along the Massachusetts seacoast just hours from her home. The artist describes her “art school” as museums, books, gallery shows, and her fellow artists. Besides working with landscape painters George Cherepov and Charles Movalli, Louise has studied portraiture and developed figurative paintings around a theme. Her M.A. degree in American History has prompted Louise to develop several series of historical paintings that tour to educational and cultural institutions. To create her acrylic screen prints Louise uses a special technique rather different from standard silk-screen printing. Her method uses no stencils and the image cannot be reproduced in multiples. Instead, acrylic ink is applied freehand to a screen, all the colors at once, and pulled through the screen one time. The ink is then discarded. Each print is a monotype – an original, one-of-a-kind piece. It is difficult to make very large pieces because the acrylic ink dries quickly and must be wet pulled through the screen while wet. 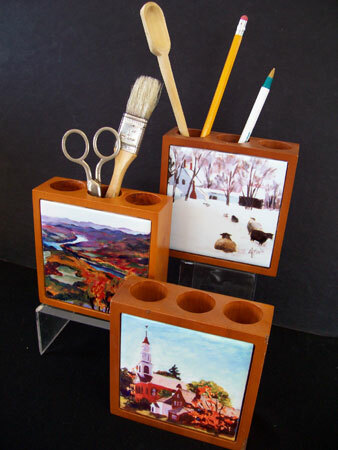 To be successful at this process, the artist must be able to work quickly and confidently. My name is Jacoby Carter. We used to go to the Methodist Church in Amherst. I have one of your water colors (a mother and child sitting on the street in Kenya) on wall in the entrance way of my house. I still enjoy looking at it. I googled your name to see if you were still active. I am glad to see that you are. I hope this finds you well. Hello there, I wondered if you may be interested. We have one of your pastel pictures coming up in our December auction here in the UK. LOT 585, it is of Mount Holyoke, mounted but not framed. It was consigned to us from a local professor. Have a look on our website where it is catalogued and photographed.